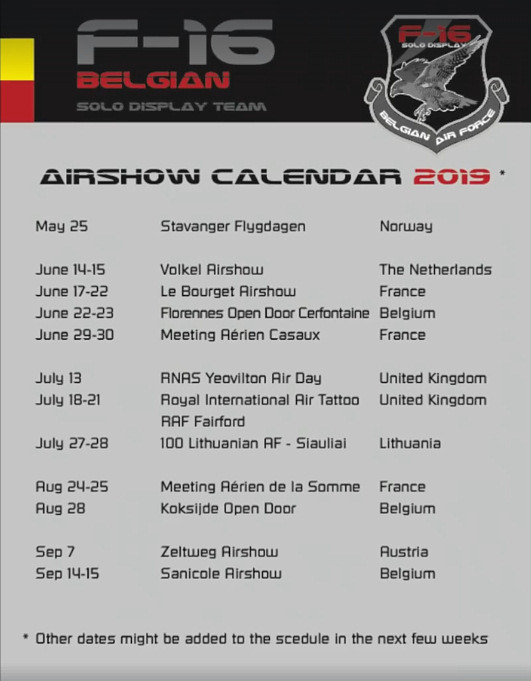 Display Aircraft 2019 Schedules - Military Airshows. This page will contain many of the UK Airshow Display Aircraft & Teams along with a link to when & where they will display in 2018. It is used to compile a list of the display aircraft that perform at each UK airshow which helps when updating participating aircraft in the venues section of this website. Many more Display Aircraft will be added in the following weeks and months.